On Armistice Day (11 Nov) the Communities Minister joined pupils hosting their Last Post event to mark the centenary of the First World War. 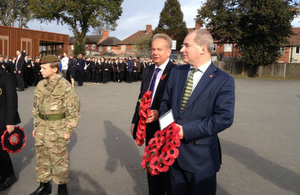 On Armistice Day (11 Nov) Communities Minister Stephen Williams joined pupils at Carshalton Boys Sports College hosting their Last Post event to mark the centenary of the First World War. Across the country community groups are becoming active participants in the First World War Centenary researching their own local First World War heritage and holding musical recitals, everywhere from schools, libraries, museums and places of worship to community centres, football clubs and pubs. At today’s event, a local bugler played The Last Post, with pupils accompanying. 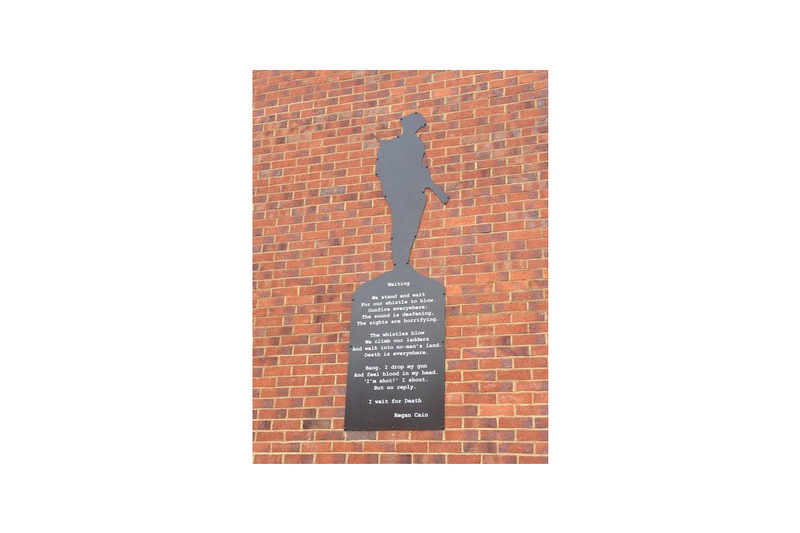 This was followed by the unveiling of the school’s new playground memorial to the fallen that includes the poem “Waiting”, written by pupil, Regan Cain. "Armistice Day is the time to reflect on those who gave their lives for the freedoms we enjoy today. "It was great privilege to join pupils at Carshalton Boys College paying tribute at their Last Post event. Seeing the whole school so involved and so engaged shows there is a real commitment to remember, not just in this centenary year but in the years to come." 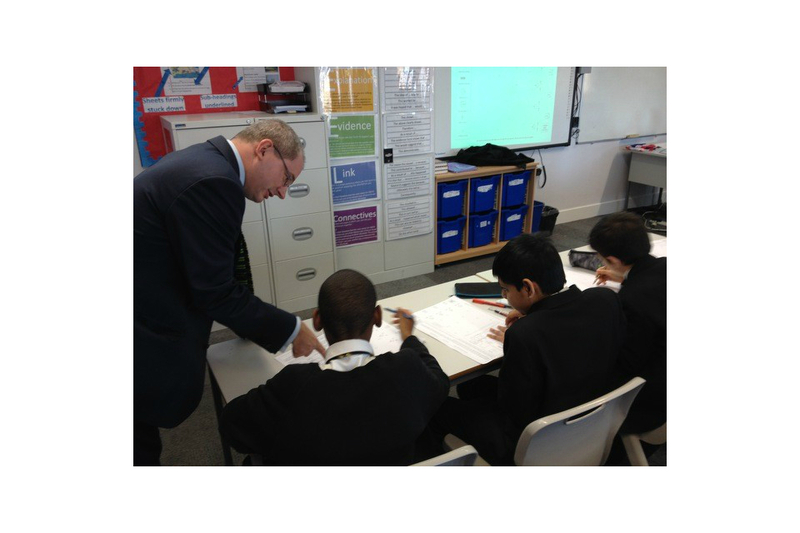 The minister later joined in lessons specially adapted for the day that focussed on the First World War, including science classes transmitting morse code, English pupils writing articles for the Wipers Times, and information technology classes mapping the trenches of the Western Front using online software. Two pupils and a teacher from Carshalton Boys Sports College have also participated in the Battlefields Tours programme, which the department is funding in collaboration with the Department for Education. This provides the opportunity for a minimum of 2 pupils and 1 teacher from every state funded secondary school in England to visit battlefields on the Western Front between 2014 to 2019. These tours form the centrepiece of a broader education programme aimed at transforming the teaching of the First World War in schools and creating an enduring legacy. The Last Post will take place across the Centenary with a series of Last Post fortnights which will be linked to a specific theme. See more information on the Last Post and your nearest events. 2014 marks 100 years since the start of the First World War. To honour and remember the lives of those who served in and were affected by the war the government is leading a national centenary programme of ceremonial events, cultural activity and education. For more information on how the government is building a fitting commemoration of this significant milestone in world history, please see First World War Centenary. See more information on the First World War Centenary Battlefield Tours run by the Institute of Education.